It’s not often I come across a PS2 game I haven’t heard anything about. I’m still not certain I hadn’t heard of Ring of Red before, but having played it some I’m that much more surprised. It’s not that it’s an amazingly good game – far from it, it’s somewhat clunky and has an odd dichotomy of style (showing WWII-style videos alongside anime-drawn characters). And yet, it’s this bizarre combination of WW2-esque aesthetic as well as anime style that makes this game feel right. 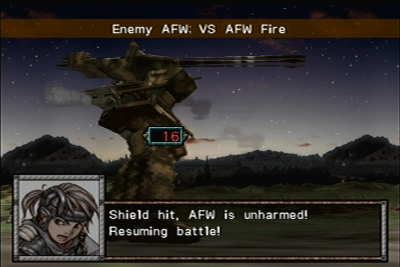 Unlike more standard games and anime, the “mechs” (here called AFWs) are portrayed as surprisingly realistic – they have a crew to load and maintain them, are somewhat slow and clunky, and are supported on the ground by infantry. It’s not like Ring of Red is particularly realistic – I haven’t ever thought of realism a great metric for a game’s quality, in any case – but its alternate history setting, in which Japan refused to surrender at the end of WW2 and became a territory divided between Stalin’s Russia and the United States, is surprisingly well-crafted (even if the excuse for walking tanks is a little bit far-fetched). Gameplay is a little bit strange. 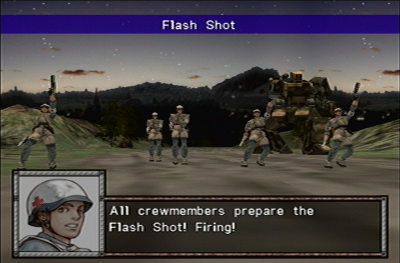 Like Battle Stations or The Unholy War (if I’m remembering right), it is a standard tactical RPG until two units clash. At this point you go into a semi-action-mode wherein you have 90 seconds to fight the enemy. You can determine which of your three infantry units pilots the mech, and the other two act as ground support with various capabilities. If well done, it would’ve been really great. The battle chatter amongst your units enhances the feeling of a WW2-esque conflict, and although the graphics are a bit dated the animations are decent. Unfortunately, as an early PS2 game, Ring of Red is far too obsessed with spectacle and does not allow you to skip animations or automate battles. This would be okay if the animations weren’t shown 3-4 times a battle, or if they were particularly impressive (they are nice the first few times, I suppose). When each engagement takes 90 seconds, you’re looking at taking up to 7 or 8 minutes to move each of your units. Although this isn’t horrible, and thus far missions have taken only slightly longer than a standard SRPG, I can imagine it will bog down as the game progresses. Is it a great game? I highly doubt it. But it’s original, and that makes it worth trying in my book. I have been playing Tales of Symphonia: Dawn of the New World for about 15 hours total over the course of around two weeks. I’m sorry to say it really doesn’t live up to its predecessor. There are several reasons for this; first is that what Tales of Symphonia did best was broken. Load times, for example, are fine, but combat feels very… uncomfortable. Enemies will slip out of your range for no apparent reason; your special moves might miss an enemy because said enemy is too short, or you happened to hit them with a regular attack that knocked them just far enough away. That’s when the special moves are worth using; many of them actually do less damage than your normal attacks. Enemies are more aggressive, too, and can attack under unreasonable circumstances. If you’re hit once, you’re “interrupted” and can’t immediately counter; meanwhile, if you interrupt an enemy they will often just keep on hitting you (thus interrupting you, etc). In the all-too-common occurrance of being double-teamed, you may not be able to do anything at all – except perhaps block, if you’re lucky – until you just die. Many will likely complain about the protagonist, Emil. Half of his lines in the first hour involve apologizing, sometimes for over-apologizing. Some have said that he is worse than FFX’s Tidus; I disagree, because Emil not only has a half-decent voice actor, he has actually shown the capacity to grow and become a moderately interesting character. 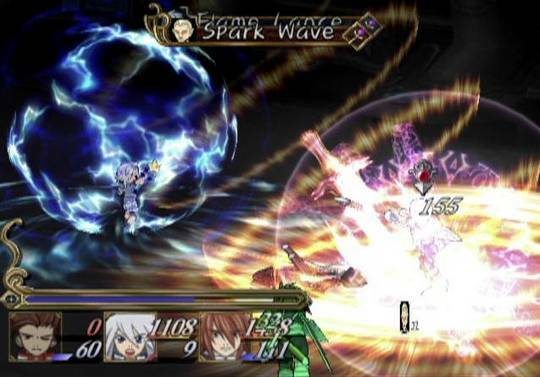 While the combat system is the main disappointment, other aspects of the game have been simplified to nothing. EX skills, which had all kinds of useful combos and strategy, were removed in favor of (just) skills, gained on level up, which use a point-based system to equip. Overall, it’s not terrible or anything – just not as good as its more worthy predecessor. It reminds me of Suikoden IV in a lot of ways – the previous game was somewhat clunky and maybe a bit too exaggerated, so what came out of it was a sequel which looks bland and plays worse. It does, naturally, have its upshot – the “Skits”, little character-interaction segments in the game, are really well-voiced (much better than the in-game work) and really bring out the personalities of the characters. I’m going to keep playing to see what happens in the plot, but not with the excitement with which I finished the first Tales of Symphonia. My friends have recommended this game to me many times, but I only just now got around to playing it due to the imminent release of Tales of Symphonia 2: Dawn of the New World. Tales of Symphonia reminds me of Growlanser: Heritage of War for several reasons. First is that the characters seem horribly cliched at first glance. Second is that combat is almost unbelievably smooth; very, very few RPGs get this right, and ToS has pretty much no down-time (no loading time, no gameplay freezes during battle over .5s, easy controls). Third is that the ToS world is full of intrigue and certain NPCs switch sides at least three times – when they don’t actively admit they’re working towards three different goals. Fourth is that, sadly, I may forget this game before too long because the experience is almost too smooth. But it really surpasses G:HOW in many respects. The characters are actually pretty deep, and I found myself liking all of them (except Zelos, of course; nobody likes Zelos. I suppose Genis gets a “meh” as well). ToS has the JRPG standard where you explore the entire world and solve everybody’s problems. In this respect it’s cliche; in the way that sometimes people die, and they’re not always bad people, it is not. ToS also has good music, more balanced combat, and a much more enjoyable story. All in all, a good game with a few flaws. Some of the puzzles in dungeons are really annoying – not in the “hard-to-solve” way but rather the “why did they force me to do the same sequence 5 times” way. AI is occasionally sketchy, but generally at least decent. Difficulty is fairly well-balanced. I lost a few boss battles along the way, but nothing that couldn’t be fixed with a team reorganization and a bit more planning. Tales of Symphonia is highly derivative of Tales of Destiny 2 (Tales of Eternia, for those “in the know”) plot-wise but does just about everything better. I would particularly recommend it for someone who hasn’t played any of the Tales series before. It’s a really polished Action RPG, even if it does everything you’d expect from a JRPG. I’m looking forward to Dawn of the New World. I’ve finished TSE2 (twice), and it is really fantastic. 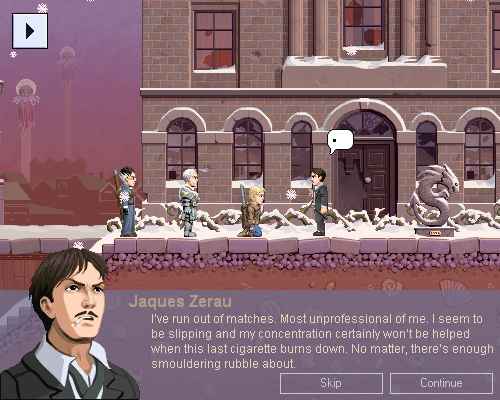 It’s the best RPG I’ve played since Persona 3 – and in some ways (notably pace) it is much better than it. More verbose review here. More to the point of this post – I’ve been inspired to give TSE1 another go, and with the aid of a brief set of tips (namely; use a specific set of characters, and be bullish on Hand of the Gods, Sharpshoot, and Party Heal) it was a breeze so I was able to enjoy the plot while taking things easy. I can no longer keep my silence regarding this game. Some of you may have heard of The Spirit Engine, a freeware RPG that surfaced 5 years ago or so. It had the interesting feature of choosing your party at the beginning, which significantly changed character interactions and dialogue, as well as a pretty cool battle system and great music. Personally, I played it for several hours but moved on before completing it. Now I regret that decision and will certainly be rethinking it. Its sequel has arrived. Though there was a brief break, on Sunday night I played it for 5 hours. I am hooked as I have rarely been to any game; I have only played one other game since I started The Spirit Engine 2 in earnest – and that was a brief bout of Stepmania, in which I created a simfile for a song from TSE2. The Spirit Engine 2 develops on all the strengths of the original, and adds its own to boot. 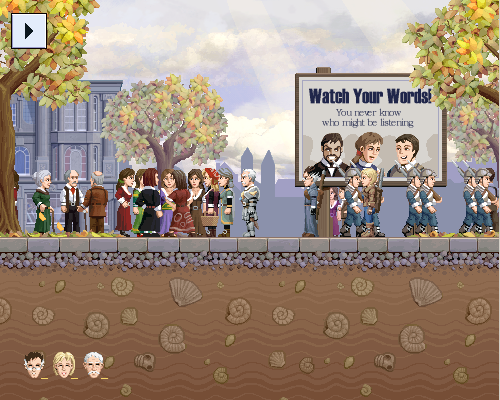 All characters have a detailed portrait – including shopkeepers and random one-line townspeople. Dialogue is excellent, and each character has a unique feel and style of speaking. Thus far I am more than somewhat impressed; TSE2 was, after all, developed by two people. Mark Pay is now among my heroes for having not only programmed but also written all dialogue and done all artwork for the game, and Josh Whelchel is a great composer. I’ve already bought the soundtrack. It’s really a breath of fresh air. In a genre that’s often fettered by standard, bland characters, little significant character development and rehashed or simply broken combat systems, TSE2 stands as a beacon of both stability and innovation. A full review will follow once I’ve completed this game. Expect very little from me until that point; I fully intend to use most of my free time to continue.